Going Fast! Acer - 11.6" Chromebook Now Just $99! You are here: Home / Great Deals / Christmas Deals / Going Fast! 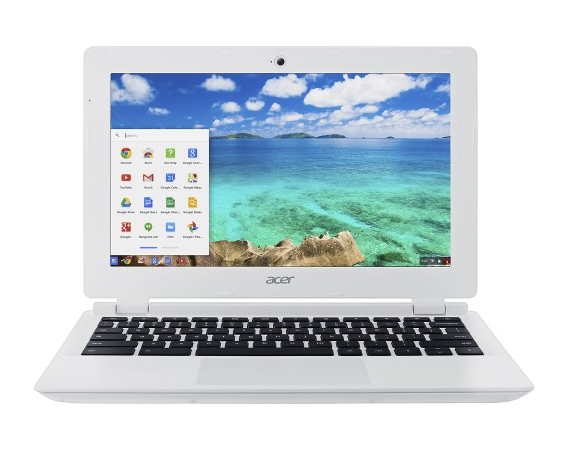 Acer – 11.6″ Chromebook Now Just $99! Going Fast! Acer – 11.6″ Chromebook Now Just $99! Going Fast! Head over to Best Buy to get the Acer – 11.6″ Chromebook Now Just $99! Down from $169! Available for store pickup! Acer CB3-111-C8UB Chromebook: Great for commuters and students, this lightweight Chromebook is optimized for Web-based apps and cloud storage on the go. The antiglare screen, quick Wi-Fi capability, and quiet fanless design allow for unobtrusive productivity at coffee shops, parks and more.